Following a two year transition period, the new PPE Regulation (EU) 2016/425 came into force in April 2018. It encompasses a number of changes applying to certification of PPE and the responsibility for manufacturers and distributors. What does this mean for safety footwear? 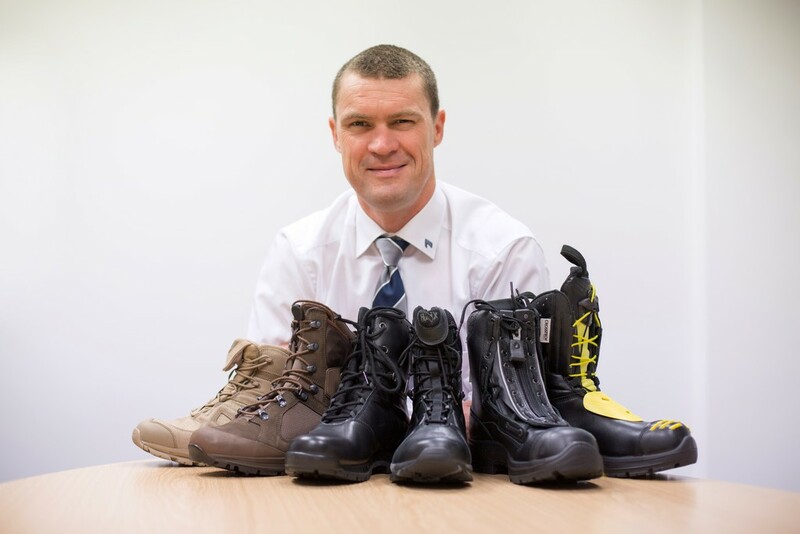 Standards for foot and leg protection will continue to need to meet the European Standard for safety footwear with toecaps: EN ISO 20345, and the subsequent standard for the specific type of footwear. However, there are a number of key differences that will affect the industry, including footwear manufacturers and others involved in the supply chain. Until now, the responsibility of PPE compliancy sits with the manufacturer with little accountability falling upon the rest of the supply chain. Under the new Regulation, however, all those involved in the supply chain, termed ‘Economic Operators’ by the Regulation, will have a level of accountability and will be legally responsible to ensure products comply with the new safety standards. This includes all those involved in the production, importation, distribution, manufacturing or sale of PPE. This change in responsibility across the entire process aims to reduce the number of non-compliant and counterfeit products entering the UK marketplace and available to consumers. Once PPE has been determined as compliant, the manufacturer can sign the Declaration of Conformity document which proves that the product meets all the requirements and can be placed on the EU market. Another important change to note is that CE certificates will only be valid for a maximum of five years before needing to be renewed by a Notified Body, such as SATRA. The CE mark provides consumers with a measure of confidence that the supplier’s products have been assessed against recognised standards or other appropriate specifications by an independent third party, which has also been assessed for competence. It can be difficult for buyers to identify what does or does not meet safety guidelines. For this reason, manufacturers will be able to provide the Declaration of Conformity document as evidence of compliance. But, what else should employers be looking out for? How can they check footwear is fit for purpose? Ask your supplier for evidence that the footwear meets the new Regulation – the Declaration of Conformity. Ask for an overview of your supplier’s quality assurance process and how they test their footwear samples to ensure safety compliance. Check for the CE marking – the CE mark provides a measure of confidence that the product has been assessed and approved to the appropriate specifications by an independent third party. Finally, always buy from a trusted source. Confirm your suppliers are members of the BSIF Registered Safety Suppler Scheme. How does this work with Brexit? Of course, question marks have been raised since the vote for Brexit…will the new PPE Regulation exist in the UK once we leave come March 2019? It is likely that we will see most, if not all, of the new PPE EU Regulation apply despite leaving the European Union. As Brexit discussions continue, the British Safety Industry Federation (BSiF) has been busy actively engaging with the government and affiliated bodies, seeking guidance on key issues of trade and health and safety in order to keep the industry informed on policy updates and what we can expect following our exit from the EU. The new PPE Regulation will help to better align regulation for products on the market in the UK – providing consumers with a fairer offering that will keep them safe at work. The new regulation will only be constructive in strengthening the health and safety industry, helping to rid the market of non-compliant PPE. The change will also be beneficial for health and safety managers, PPE buyers and employers generally, as they can be assured that they are sourcing from a reputable supplier and have confidence that their workforce is properly protected.